Sarrah and I have a personal connection: her brother, Jeff Beemer, played guitar in a band I was in for a few years. 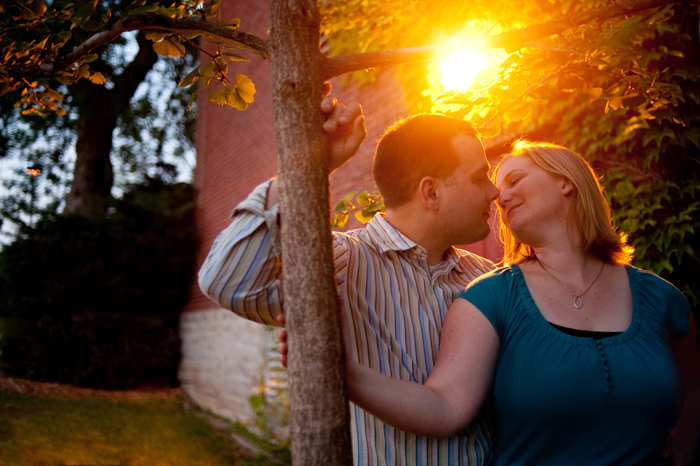 Their sunset e-session was so a blast, even though the mosquitos were a little hungry. The University of Guelph is beautiful right now - so lush and green. Sarrah and Andrew, you guys are wonderful - thanks for a fun shoot!